The history of Big Game fishing in Hawaii would be incomplete without a closer look at the innovations in design of hand made trolling lures. Joe Yee, Henry Chee, George Parker, and Chester Kita are lure makers of old. They passed on their art to a new generation of lure makers. With today’s higher demand and the availability of automated manufacturing processes, some lure makers started to abandon the traditional ways of lure making by these pioneers. Others continue to embrace the old school hand made lure making methods of past masters. It’s not surprising that you find fishing lure makers in the Hawaiian Islands with the following attitude. It’s not how many you can make, it’s how well you can make them. 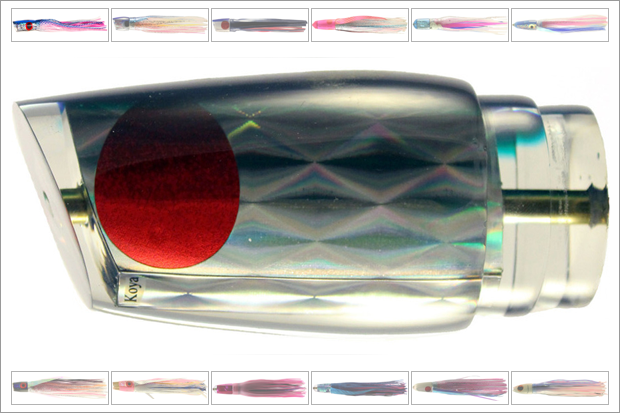 We at fishingkonahawaii.com are always looking for innovations in trolling lures, and when it comes to the art of lure making, our focus is generally drawn to the Hawaiian Islands. As a result, you can imagine our surprise when we found a traditional hand made fishing lure maker in the middle of Montana. This story is about a group of old timers. One is an avid sport fisherman. The second is an old commercial fishermen. The last is an old machinist. 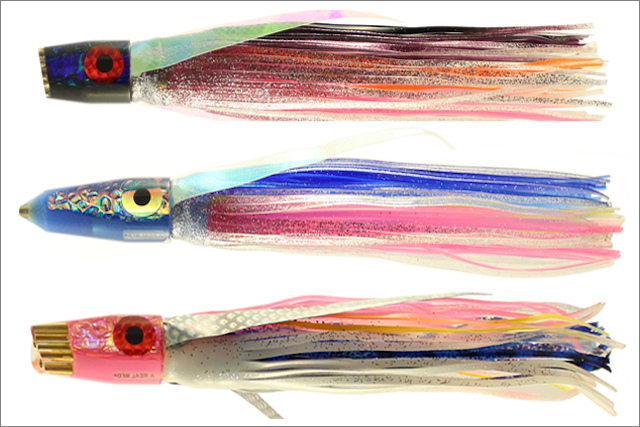 Then, over the decades they combined their skills and fishing experience to produce trolling lures that follow in the footsteps of master Joe Yee. 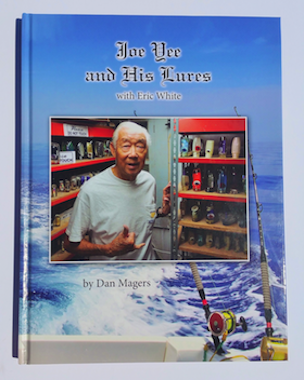 With Joe Yee lures selling for up to 500.00 dollars each you could assume that there is not much room left for improvement. You would be wrong. The folks at BFD Lures are innovating with subtle changes in design and materials. However, they’re still handcrafting their fishing lures one at a time like the masters of the past. At first glance these improvements seem slight but they strike at the technical problems inherent in the lure making process. Most trolling lures are round. Round lures are easier and less expensive to make. As a result, lures get more difficult to manufacture if you try to combine both unique and traditional materials in the same body. While traditional materials make winners, mixing them with new and unique materials can achieve extra dimensionality. Using modern tow-cams, underwater views of fishing lures running at trolling speed show that fishing lures spin. Anyone who has live baited knows that when the live bait begins to flash and spin, it’s time for a change. So why drag a lure that gives the appearance of a dead bait but still manages to swim at eight knots? This presents confusion to predators along with the unknown blend of color it creates. BFD’s solution to spinning was precision belly weighting of their trolling lures, and redesigning the skirt saddles into ovals. This took many years to perfect, but the result is that all BFD lures run top up and don’t spin. As a result, the innovative oval skirt saddles that solved the lure spin problem had an additional benefit. At trolling speed, this unique saddle design changes the water’s hydrodynamics, forcing the round skirts into a more oval configuration. In addition, underwater views confirm that the silhouette of their fishing lures is more life-like, and more closely imitate the actual silhouette of a swimming bait fish. As a result, BFD trolling lures produce more strikes with their unique Oval Skirt Saddles, Precision Belly Weighting and control of the hydrodynamics of the moving water, simply produce more strikes. BFD Trolling Lures also use the latest materials for the lure heads and inserts. Their foil based dichroic inserts have more reflectivity, and allow more space savings for weight distribution and glow materials. This innovation, with the right mixture of rare earth minerals, is what gives their lures the extra dimensional effects. In addition, the glow lasts for hours after just a few minutes of light exposure. The bottom line is that using BFD lures, with their unique multi dimensional and visible effects on predators, simply results in more strikes. 4. 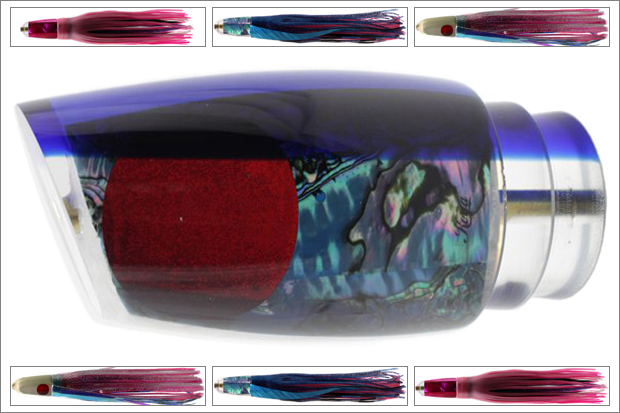 Dichroic foil inserts and rare earth minerals providing deep color, iridescence, and contrast. Finally there is something even more subtle. Based on the last few years of testing, you can limit your skirt color combinations. However, you will still experience nearly twice as many strikes as on conventional round trolling lures. With all these innovations that trigger more reaction strikes, BFD trolling lures are obviously a great addition in any pattern. The problem is this: you need to be able to get one at a reasonable price. Once everyone discovers them, the supply of these hand made, individually crafted, works of art could become constrained, causing price increases. Now is the time to buy them.